There is a selection of songs, among the many of Guty & Simone’s repertoire recorded live during some of their evenings. Live wedding music Italy! Guty & Simone the Italian wedding musicians playing live many of the most famous and requested songs of ever. Over the last years they have been made hundreds of gigs and concerts in Italy and abroad also as wedding musicians during english weddings, irish weddings and american weddings. 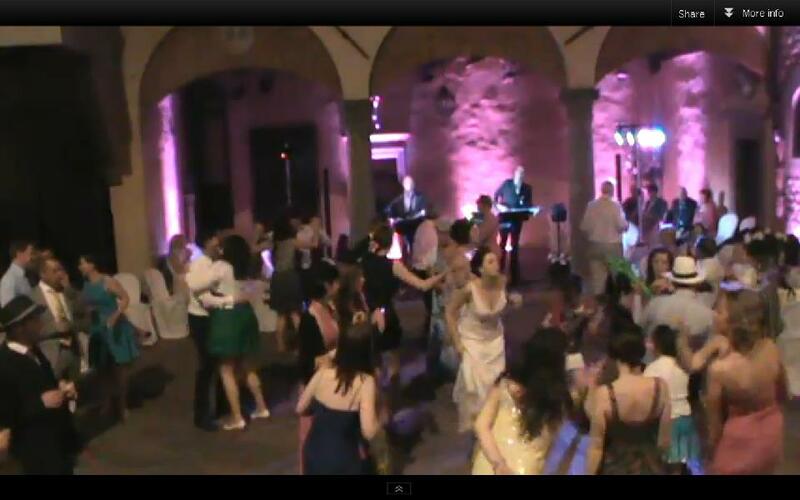 The Tuscany wedding musicians are well known and highly regarded as wedding party musicians taking place in Tuscany as Fiesole, Firenze, Siena, Chiantishire, Lucca, Pisa. They usually play for wedding parties in Tuscany, Umbria, Rome, Garda lake, Amalfi coast. Guty & Simone the Italian wedding musicians, Wedding music in Italy and abroad. Italian wedding entertainment Tuscany. Musical evenings, dance party music!